The practice of chiropractic includes establishing a diagnosis; facilitating neurological and biomechanical integrity through appropriate chiropractic case management; and advising and educating patients on spinal hygiene, rehabilitative exercise, nutrition, and healthful living practices. 1. To earn a Doctor of Chiropractic degree the candidate must complete a four year program consisting of 4800 hours of classroom, laboratory, and clinical study, including anatomy, physiology, chiropractic technique, radiology, biochemistry, toxicology, biomechanics, nutrition, diagnosis and physical examination, and a clinical internship consisting of one year of hands on clinical experience and training in a professional clinical setting. The CCE is officially recognized as an accredition agency by the US Department of Education. The CCE is a member of the Council on Post-Secondary Accreditation (COPA) and the Coucil of Specialized Accrediting Agencies (CSSA). 2. The D.C. must obtain a state license through examination before receiving the privilege of practice. 3. All 50 states, the District of Columbia, U.S. Virgin Islands, and Puerto Rico license doctors of Chiropractic. All these jurisdictions include Chiropractic health care in their workers’ compensation statutes. 4. Chiropractic services are included in Medicare, the Vocational Rehabilitation Act, Federal Workers’ Compensation laws, most Federal Employees’ Benefits programs, the Railroad Retirement Act, and the Longshoremen’s & Harbor Workers’ compensation Act. 5. In the private sector, virtually all commercial insurance carriers include Chiropractic services in their health plans. 6. The National Conference of Insurance Legislators adopted a model; bill for state health-insurance programs that defines “physician” to include the doctor of Chiropractic. 7. The Department of Health and Human Services classifies doctors of Chiropractic as category 1 providers, just like medical doctors, osteopaths, and dentists. 9. Chiropractic is the third largest health care profession in the Western world behind medicine and dentistry. 10. 94% of the spinal manipulation done in the U.S. is done by chiropractors. 1. One of Chicago’s leading medical orthopedists testified about the results he had noticed between two competing hospitals in Chicago, one which was using doctors of Chiropractic and one which was not. Since he was on the staff of both hospitals he could evaluate the results of each. He found that the hospital using Chiropractic care was sending patients home 7 to 9 days sooner and that the reason was entirely due to the Chiropractic care that they were receiving. Per Freitag, MD,PhD, US Federal Court Testimony, Chicago, IL., May, 1987. Comparing JFK Hospital with Lutheran General Hospital, which does not use Chiropractic. 3. In 1979, the Royal Commission of Inquiry on Chiropractic in New Zealand, after an 18 month study in five nations, including the U.S., concluded, “The Commission has found it established beyond any reasonable degree of doubt that chiropractors have a more thorough training in spinal mechanics and spinal manual therapy than any other health professional.” It found that Chiropractic was a scientifically based, valid, safe and very effective treatment that should be in the mainstream of health care and should be used in hospitals. 5. In 1972, the California Workers’ Compensation Study comparing Chiropractic to medical care for back ailments on 1000 patients showed that Chiropractic was twice as effective and the patients lost half as many days as of work. 10. In 1991, the RAND study from UCLA found Chiropractic care to be an “appropriate” treatment for low back disorders. 11. Kirkaldy-Willis, M.D., world renowned medical orthopedist, joined David Cassidy, D.C., PhD. to do an evaluation of the clinical results of Chiropractic care on evaluation of the clinical results of Chiropractic care on 171 chronic medically unresponsive low back sufferers for a period of 7 years. Within 3 weeks, Dr. Cassidy eliminated 87% of the ailments. It is significant to note that a reevaluation of these patients one y ear later showed that they remained pain free! Tooth decay occurs well before you get the first warning signs of pain. That is why the dental profession recommends regular check-ups which include teeth cleaning and gum care as well as the regular home care of brushing and flossing teeth. Wear and tear of the engine in a car will occurs well before the oil runs out, but everyone knows to change the oil every three thousand miles. In several experiments, the knee joints of rabbits were immobilized [splinted so they could not bend] for 16 weeks. Within ONE WEEK degenerative changes began to occur and by week 12 the joints were completely fused. The follow-up experiment was even more interesting. In one group of rabbits which were immobilized for five weeks, the splints were then removed. Over the next 18 months, some were released to “normal cage activity” and some jogged on a treadmill five days per week. The rabbits in both of these groups had NO increase in the level of osteoarthritis once they resumed regular activity. Just as Chiropractic’s effectiveness has been studied so has its safety. Chiropractic’s approach is drug-free and non-surgical, therefore eliminating two of the largest risk factors in the health care field. Reports of danger are grossly exaggerated. Much misinformation and misunderstanding of the safety issue has been propagated by the (AMA) American Medical Association. In the early 1960’s, the AMA decided to try to contain and eliminate Chiropractic as a profession. The AMA’s purpose was to prevent medical physicians from referring patients to Chiropractors and accepting referrals of patients from Chiropractors; to prevent Chiropractors from obtaining access to hospital diagnostic services; to prevent medical physicians from teaching at chiropractic colleges or engaging in any joint research; and to prevent any cooperation between the two groups. The AMA unfairly told its membership, medical students, insurance companies and the general public that Chiropractic was an unscientific cult. Once some of the AMA’s policies became publicly known they stopped some of their overt actions. So, is Chiropractic safe? A number of literature reviews of serious occurrences from chiropractic adjustments have been documented. The most exhaustive study discussed 113 cases of vertebro-basilar accidents following spinal manipulative therapy, from 1934 to 1987, a period of 53 years. Of the cases documented 66 were chiropractic, 18 medical, 9 osteopathic, 2 physical therapist and the remaining 13 were divided between “wife,” “self,” and “unknown”. Let’s put these numbers in perspective. 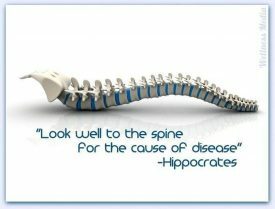 There were 66 chiropractic cases in 53 years; a little more than one per year. There are currently about 52,000 chiropractors in practice treating, on average, about 100 patients per week. That works out to 5.2 million adjustments per week or 286 million adjustments per year. This works out to 1 to 2 cases of stroke, paralysis or death per 286 million adjustments. One author, a medical doctor, stated about manipulation in general, “there is probably less than one death of this nature out of several tens-of-millions of manipulations.” Some medical authors state that the risk of manipulation to the neck is 0.0002% or 2-3 cases per million. No matter how one interprets the results, more people die from complications of drugs and surgery in one single afternoon than in 20 years of cervical adjustments. As a comparison to the risk of manipulation, the risk of death from surgery to the cervical spine is 700 per million. From 1947-1978 in cases of stroke related death following manipulation, 9/10 death were attributed to manipulation by MD, DO or PT. 1. A Yale New Haven hospital study showed that 100,000 to 200,000 people die per year from medication reactions. A Johns Hopkins study found that 14% of hospital stays are extended because of medication reactions. 2. A multi-hospital study found nearly 1000 people die every week from UNNECESSARY surgery. 3. When medical doctors went on strike for one month in Los Angles County, the death rate dropped by 153 persons based on state records. 4. A Harvard University study showed that in one year medical negligence caused 7000 hospital deaths in New York state. 5. The U.S. Office of Public Health found that 2/3’s of the over-the-counter drugs do NOT do what the companies promise. 6. On August 26, 1992 the Food and Drug Administration said that 415 ingredients in over-the-counter drugs DO NOT WORK! Deaths per year from GI bleeding due to anti-inflammatory drugs for osteoarthritis- 400 per 1 million. 16,500 deaths per year (Wolfe MM, Lichtenstein DR, Singh G Gastrointestinal toxicity of non-steroidal anti-inflammatory drugs. New England Journal of Medicine, 1999: 340(24): 1888-1899. Out of every 100,000 women under 40 who take birth control pills, 28 of them will suffer a stroke> JCAHO Documents Alarming Increase in Surgical Mistakes in US WESTPORT, CT (Reuters Health) Dec 05 – Since 1998, the number of operations performed on wrong surgical sites or wrong patients has increased dramatically in the US, according to a report released Wednesday by the Joint Commission on Accreditation of Healthcare Organizations (JCAHO). In 1998, the JCAHO issued a Sentinel Event Alert after 15 “wrong site” surgery cases were reported to the organization. By the time the current report was released this number had skyrocketed to 150. Orthopedic/podiatric operations were the most common procedures linked to errors, accounting for 41% of the 126 cases that were analyzed. General surgery procedures accounted for 20% of the cases, neurosurgery operations for 14%, and urologic surgery operations for 11%. The remaining cases involved other procedures such as dental/oral maxillofacial operations. Fifty-eight percent of cases occurred in an ambulatory surgical setting, 29% in the inpatient operating room, and 13% in other inpatient settings. Most of the errors involved operations on wrong body parts or sites, but 13% involved operations on the wrong patient and 11% involved the wrong surgical procedure. 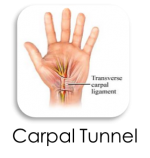 The JCAHO identified a number of factors that seemed to increase the risk of surgical mistakes. Among these, emergency status of the case and unusual patient physical characteristics were the most commonly cited. In addition, most cases involved a breakdown in communication between surgical team members and the patient or the patient’s family. “Although the wrong site surgery problem has been addressed on a local level in many areas of the country, there has been no organized national effort to eliminate wrong site surgery,” Dr. S. Terry Canale, immediate past president of the American Academy of Orthopaedic Surgeons, said in a statement. In the report, the JCAHO makes several recommendations to eliminate surgical mistakes: Mark the surgical site and involve the patient in the process. Create and use verification checklists. Before operating, verify with each team member the patient’s identity, the surgical site, and the procedure being performed. Take a “time out” in the operating room to check one last time that the correct procedure is being performed on the correct patient at the correct site. Monitor compliance with these procedures. Chiropractic manipulation was recommended as a treatment of choice for acute low back pain by the Agency For Health Care Policy and Research, a division of the Department of Health and Human Services. These guidelines were published in December, 1994. * Independent research authorities such as RAND Corporation, which reported in 1991 that spinal manipulation was now proven to be an appropriate treatment for most back pain patients. Shekelle, PG, Adams, A, et al. The Appropriateness of Spinal Manipulation for Low-Back Pain. RAND Corporation, Santa Monica, CA, 1992. * Worker’s Compensation studies suggest a minimum 50% saving in overall costs when treatment is chiropractic rather than medical. California, 1972: Half the work days were lost by chiropractic patients as compared to medical patients. Wolf, CR, (1974), Industrial Back Injury. International Review of Chiropractic, 26:6-7. Wisconsin, 1978: Half the work days were lost by chiropractic patients as compared to medical patients. Chiropractic care about half the cost of medical care. Duffy, DJ, (1978), A Study of Wisconsin Industrial Back Injury Cases, University of Wisconsin, unpublished monograph. Florida, 1986: The duration of disability was 51.3% shorter for chiropractic patients. The cost of chiropractic care was 58.8% less than medical care. Wolk,S (1988), An Analysis of Florida Workers’ Compensation Medical Claims for Back Related injuries, Foundation for Chiropractic Education and Research, Arlington, VA.
Utah, 1991: Chiropractic care outperformed medical care by a 10:1 margin in compensation costs. The number of work days lost under medical care was nearly 10 times higher than those receiving chiropractic care. Jarvis KB, Phillips RD et al (1991), Cost Per Case Comparison of Back Injury Claims of Chiropractic versus Medical Management for Conditions with Identical Diagnostic Codes, Journal of Occupational Medicine, 33(8): 847-852. Meade, TW, Dyer, S, et al. Low Back Pain of Mechanical Origin: Randomized Comparison of Chiropractic and hospital Outpatient Treatment, British Medical Journal, 2 June 1990, Vol.300, No.67137, pp. 1431-1437. The author did a three-year follow-up to the study which concluded that, “When chiropractic or hospital therapists treat patients with low-back pain as they would in day-to- day practice, those threated by chiropractic derive more benefit and long term satisfaction than those treated by hospitals.” There was a 29% greater improvement in patients treated with chiropractic compared with hospital care. Meade, TW Randomized Comparison of Chiropractic and Hospital Outpatient Management for Low Back Pain: Results from an Extended Follow-up, British Medical Journal, 5 August 1995, Vol.311. McCrory DC, it al. 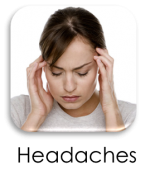 Evidence Report: Behavioral and Physical treatments for Tension-type and Cervicogenic Headache. Duke University Evidence-Based Practice Center, Durham, North Carolina, January, 2001. * In 1991, a Gallop Poll revealed that 90% of chiropractic patients felt their treatment was effective. A report in the Western Journal of Medicine in 1989 stated that patients of chiropractors were 3 times more satisfied with their care than patients of family practice medical doctors. Demographic Characteristics of Users of Chiropractic Services. The Gallup Organization, Princeton, N.J., 1991. Back Pain Care from Family Physicians and Chiropractors, Western Journal of Medicine, March 1989, Vol.150, pp. 351-355. * The Manga Report, commissioned by the government of Ontario, Canada, in 1993, stated that chiropractic management is superior to medical management for patients with low-back pain – in terms of safety, scientific evidence of effectiveness, evidence of cost-effectiveness and patient satisfaction. “Finally, the government should take all reasonable steps to actively encourage cooperation between providers, particularly the chiropractic, medical and physiotherapy professions. Lack of cooperation has been a major factor in the current inefficient management of low back pain. Better cooperation is important if the government is to capture the large potential savings in question and, it should be noted, is desired by an increasing number of individuals within each of the professions. Manga P, Angus, D it al (1993) “The Effective and Cost-Effectiveness of Chiropractic Management of Low-Back Pain,” Pran Manga and Associates, University of Ottawa, Canada. Schifrin, Leonard G. (1992), Chancellor Professor of Economics and Preventive Medicine, The College of William and Mary, Williamsburg, Va.
Dean, David H., Ph.D., Schmidt, Robert M., Ph.D., A Comparison of the Costs of Chiropractors Versus Alternative Medical Practitioners, Bureau of Disability Economics Research, Robins School of Business, University of Richmond, January 13, 1992, Page 25. Wilberg JMM, et al. Journal of Manipulative and Physiologic Therapeutics. October 1999; Vol.22, No.8, pp.517-522.